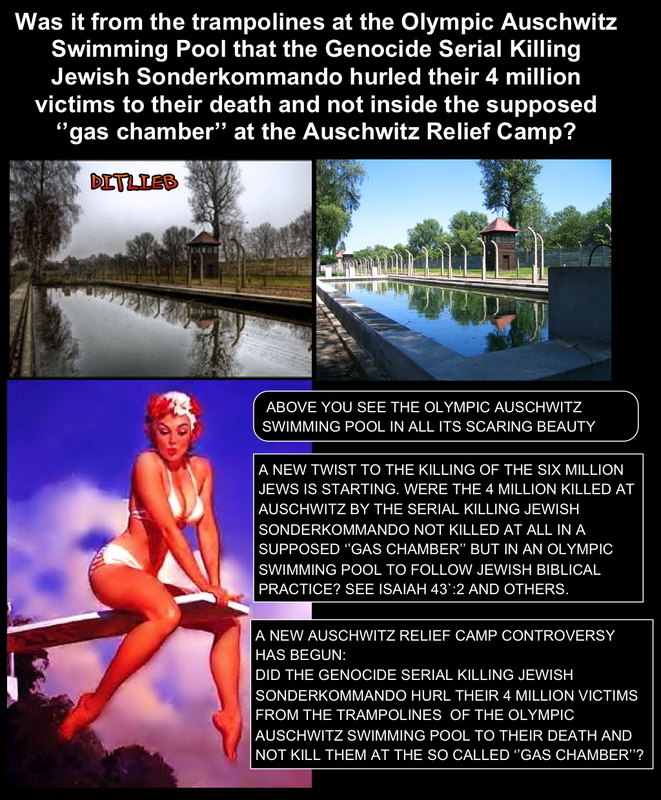 CURIOUS FACT: The first time a questions was put on the radio about the Auschwitz Swimming Pool, the Auschwitz Swimming Pool was not denied but affirmed? Affirmed by a Holocaust Denier (HD) claiming herself to be an SS, a Sonderkommando Survivor, surviving the methodical killing of the Jewish Sonderkommando. Is it not incredible that when the first audible mention of the Auschwitz Swimming Pool was made; it was NOT denied, but affirmed? And that by a SS Survivor! The FIRST audible affirmation of a Swimming Pool at Auschwitz was made on September 23, 1982, WJW850, at Cleveland, Ohio, USA, in a Talk Show hosted by Merle Pollis. About first audible mention of a Swimming Pool at Auschwitz. Next Next post: What means the Abbreviation ‘BH’ and ‘BHL’?